ChapmanBlack – A recruitment company that specialises in engineering and executive positions. To create a registration form for the ChapmanBlack website. 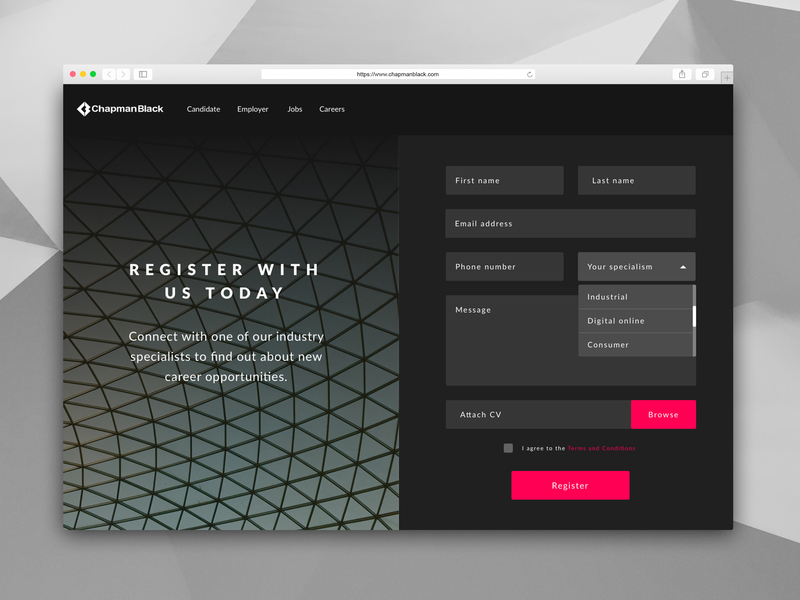 The aim of the form is to enable users to easily input their information and CV to the ChapmanBlack site.